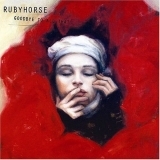 Goodbye To All That is ranked as the best album by Rubyhorse. The tracks on this album have an average rating of 79 out of 100 (2 out of 11 tracks have been rated). Related links: top tracks by Rubyhorsetop tracks of the 2000s, top tracks of 2004.